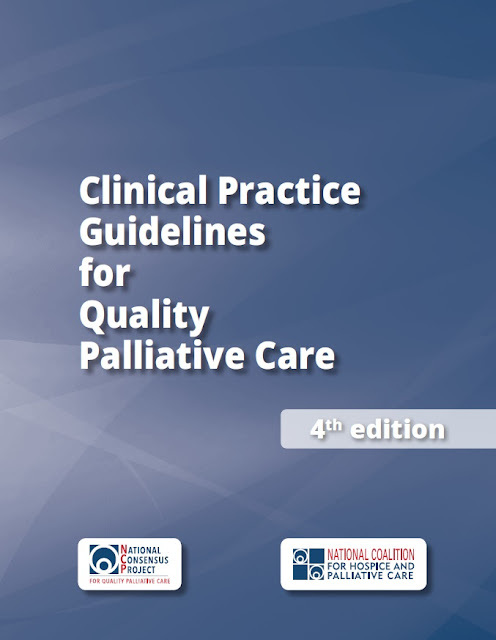 The 4th edition of Clinical Practice Guidelines for Quality Palliative Care is now available. The 200-page book creates a blueprint for excellence by establishing a comprehensive foundation for gold-standard palliative care for all people living with serious illness, regardless of their diagnosis, prognosis, age or setting. The guidelines were developed by the National Consensus Project for Quality Palliative Care, comprised of 16 national organizations with extensive expertise in palliative care and hospice. The 4th edition was endorsed and supported by more than 80 national organizations.